Group 11 has been actively working on human rights for over 45 years. At the center of this essential work is the adoption of individual prisoners of conscience from countries around the globe. We have also campaigned on other human rights issues in countries and regions where violations were all too common. We also carry out special projects. The cases listed below illustrate our work on individual cases, campaigns, and special projects. Group 11 was actively engaged with the case of Teodora del Carmen Vásquez, a Salvadoran woman who was charged with aggravated homicide after suffering a stillbirth in 2007. After experiencing severe abdominal pain while at work, Teodora lost consciousness and gave birth to a stillborn child. When she regained her senses, still lying in a pool of blood, police handcuffed her and arrested her on suspicion of murder. 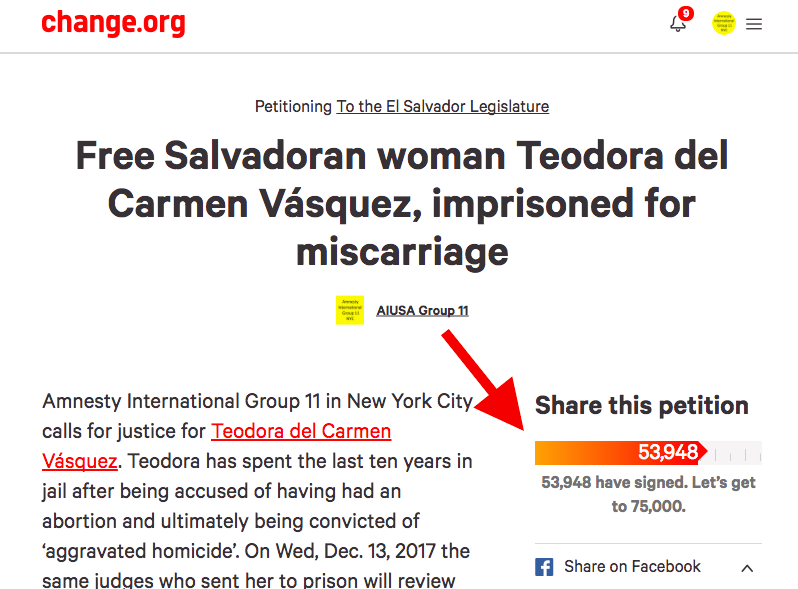 Group 11 helped raise awareness about Teodora’s case and launched a highly-successful petition on Change.org that collected a total of 54,000+ signatures. The appeal to Teodora’s sentence was logged with the Court of Cassation in December 2017. Even though Cassation court rejected the defense’s expert witness testimony, two month later the Supreme Court commuted Teodora’s sentence by ruling that there was insufficient evidence that she intentionally induced an abortion. After spending 10 years in prison, Teodora was released in February 2018. Teodora is finally free, but at least 28 other Salvadoran women are still in jail on the same charges. “It’s encouraging to see Teodora stepping out of jail, where she should have never been in the first place, but El Salvador is still far from fully ensuring the rights of women and girls in the country, “ noted Amnesty’s Erika Guevara-Rosas. 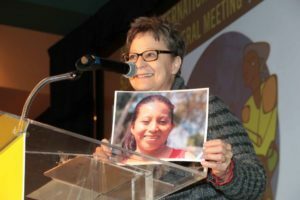 The 2017 Individuals at Risk Case Commitment Award was presented to Group 11 at the Amnesty International USA Annual General Meeting held in Albuquerque, NM in March 2018. The Individuals at Risk Awards honors AIUSA activists and groups who demonstrate exceptional dedication and leadership by helping to free prisoners of conscience, support human rights defenders and end other cases of abuse by taking part in the Urgent action network, Case Commitment Initiative or Write for Rights campaign. 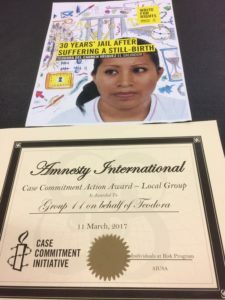 Group 11 was acknowledged for their work to free Teodora del Carmen Vásquez, a Salvadoran woman currently serving a 30 year sentence for homicide after suffering a stillbirth at work. The award was received by Sandra Robishaw, who gave special recognition to Martha Spital, a long-time volunteer and co-leader of “Team Teodora”. Group 11 worked on this case for over 2 years and exhibited a genuine collaboration effort and creative approach to tacking this case. Watch the following to learn more about Teodora’s case. Teodora’s is not an isolated case. The total ban on abortion in El Salvador and the resulting presumption of guilt continue to destroy the lives of women and girls. Eşber Yağmurdereli: A Turkish lawyer, writer, and human rights activist who was jailed most recently from June 1998 through January 2001 for making a speech criticizing the Turkish Government’s treatment of the Kurdish minority. Leyla Zana: A Kurdish political figure and winner of the Sakharov and Rafto prizes, Zana was arrested in late 1994 for swearing a small portion of a loyalty oath in Kurdish upon taking her seat in the Turkish parliament. She was freed for that offense in June 2004. Yury Bandazhevsky: A Belarusian scientist and physician imprisoned in 2001 for allegedly taking bribes from students, charges brought against him for his research into the health effects of the Chernobyl disaster. Gurbandurdy Durdikuliev: A Turkmenistani dissident who was forcibly confined to a mental hospital in retaliation for critiques of the government. Aung San Suu Kyi: A Nobel Peace Prize-winning leader of the democracy movement in Myanmar who has spent almost 15 of the last 21 years in prison or under house arrest, most recently being unconditionally freed on November 13, 2010. Dr. Liu was a prominent Chinese scholar of literature and a Chinese winner of the 2010 Nobel Peace Prize who was sentenced to 11 years in prison for “inciting subversion of state power” after a two-hour trial on December 25, 2009. He was charged because he wrote six articles in which he criticized corruption, censorship, and one-party rule and advocated developing a democratic multi-party political system; and for his role in the writing and distribution of Charter 08 (Charter 08 is a proposal for legal and political reform in China to establish a democratic system that respects human rights initially signed by 303 Chinese scholars, lawyers and officials). In January, 2014 Liu Xia suffered a heart attack and was initially prevented from receiving the treatment that she needed and she suffered from psychological stress, anxiety, and depression. 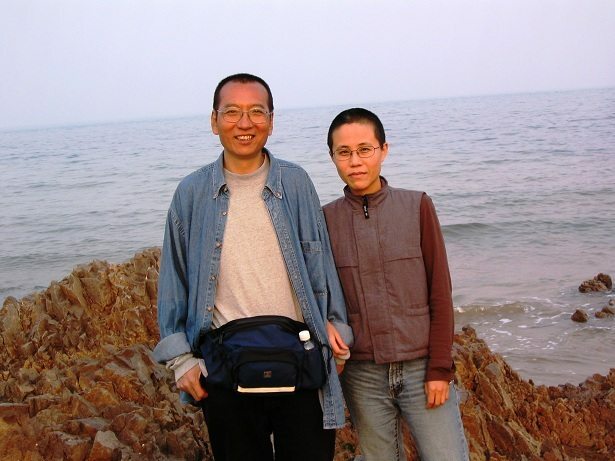 Sadly, on 26 June 2017, Liu Xiaobo was granted medical parole after being diagnosed with liver cancer and he died on 13 July 2017. Liu Xia remained under house arrest until 10 July 2018, when she was allowed to travel to Germany for medical treatment. A courageous, principled advocate for political reform, Mr. el-Jahmi had been detained for years by the Libyan government solely for his peaceful expression of freedom of speech in demanding justice and democracy in his country. 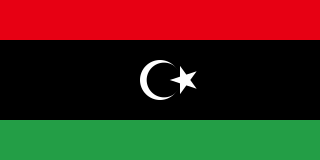 Amnesty International USA Group 11 was deeply saddened by the death of Libyan prisoner of conscience and Group 11 Special Focus Case Fathi el-Jahmi on May 21, 2009 in an Amman, Jordon hospital following his transfer from detention at the Tripoli Medical Center in Libya. Group 11 championed his case and participated in efforts by Amnesty International for his release. We signed petitions and wrote letters to government officials on his behalf and sent messages of encouragement and solidarity directly to Mr. el-Jahmi. Mansour Ossanlu, the leader of the Union of the Tehran and Suburban Bus Company, has dedicated himself to securing better conditions for bus workers and ending discriminatory laws and practices that limit the rights of workers in Iran. As a result of his activities on behalf of the bus workers, he was detained by the Iranian authorities three times between 2005 and 2007. After being tried and convicted in 2007 for “acts against national security” and “propaganda against the regime” he was sentenced to five years in the notorious Evin Prison. While in prison, Mr. Ossanlu’s heath declined sharply as he suffered from heart and kidney ailments and damage to his eyes. Despite his worsening condition, he was denied medical care. Even after a government medical examiner ordered his release he was kept in prison by the judicial authorities. Although Iran is a party to the International Covenant on Civil and Political Rights, which states that “everyone shall have the right to freedom of association, including the right to form and join trade unions”, the repressive response to Mr. Ossanlu’s activities dramatically showed that workers in Iran have few legal rights and protections and exemplifies how labor activists are regularly treated. In 2013, after being granted a temporary medical leave from prison and with the help of international agencies including Amnesty Intrnational, Mr. Ossanlu and his family managed to flee Iran for the United States. He is now living on the east coast, where he continues to struggle for worker’s rights in Iran. He has told his story at meetings of Group 11 and at other events and was the guest of honor at our 2013 benefit concert. We remain in touch with him and support his efforts to protect human rights in Iran. U Win Tin, a journalist, writer, and poet (pen name Paw Thit), was arrested and imprisoned on July 4, 1989, for peacefully expressing his disagreement with the policies of the governing junta, and because he was a founding member of the opposition National League for Democracy, co-founded by his close associate, Nobel Peace Laureate Aung San Suu Kyi. Throughout his 19 years of imprisonment, U Win Tin was tortured, abused, isolated and deprived of basic rights including adequate medical treatment. He had two heart attacks while in prison. Group 11 adopted U Win Tin’s case shortly after his arrest and began a tireless campaign on his behalf which included numerous letters, thousands of petition signatures, and a number of demonstrations at the Myanmar Mission to the United Nations and the United Nations. Demonstrations and letter-writing campaigns were coordinated with other Amnesty groups in the US and abroad. U Win Tin was unexpectedly, unconditionally released from Insein Prison in Yangon on September 23, 2008, to the astonishment and joy of his supporters worldwide. Early in November 2008, he sent a taped voice recording to Group 11 from Yangon to be delivered at our annual fund raising concert, thanking Group 11 and Amnesty International for our work on behalf of political prisoners and urging Amnesty to continue its efforts on behalf of other political prisoners languishing in jails in Myanmar. Within Burma he frequently visited families of political prisoners and created a foundation to help them. Sadly, at the age of 84, U Win Tin died in April of 2014. Though he was Myanmar’s longest serving prisoner of conscience, he remained active in human rights work after his release and died free of the prison cell that had held him for 19 years. 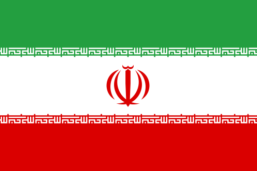 In July 1999 two university students, Akbar Mohammadi and Ahmad Batebi, were arrested for taking part in a peaceful protest against the closing of a newspaper by the Iranian government. The protest, which was forcibly suppressed by the authorities, sparked demonstrations and widespread arrests in other cities in Iran. The two prisoners of conscience were sentenced to death, which was later commuted to 15 years in prison. Both men were subjected to brutal physical and mental torture. The immediate aims of Group 11’s work were to free the two men and to call attention to the harsh prison conditions in Iran. Long-term objectives were to end torture and the abuse of prisoners and to urge Iran to adhere to international standards for the treatment of prisoners. To these ends, Group 11 sent over 2,000 postcards, letters and many petitions to the Iranian authorities calling for the release of the prisoners; wrote letters to the Iranian press about the case and demonstrated at the Iranian United Nations mission. Tragically, Mr. Mohammadi died as a result of his brutal treatment and the denial of medical care while in prison. However, early in 2008, Ahmad Batebi, who by then had become a global symbol of prisoner abuse, escaped from Iran in a harrowing journey and was granted permission to enter the United States. In a very rare opportunity to meet with a former prisoner of conscience, Group 11 sponsored an event in October, 2008 at which Ahmad Batebi spoke about his experiences in Iranian prisons. He stated that without the actions of Group 11 and other voices in Amnesty he would not have survived his nine years in prison. We have raised about $2,000 for his living expenses and stay in touch with him. Articles in The New York Times on July 13 and October 26, 2008 offer more information about him and his experiences and cite our efforts. 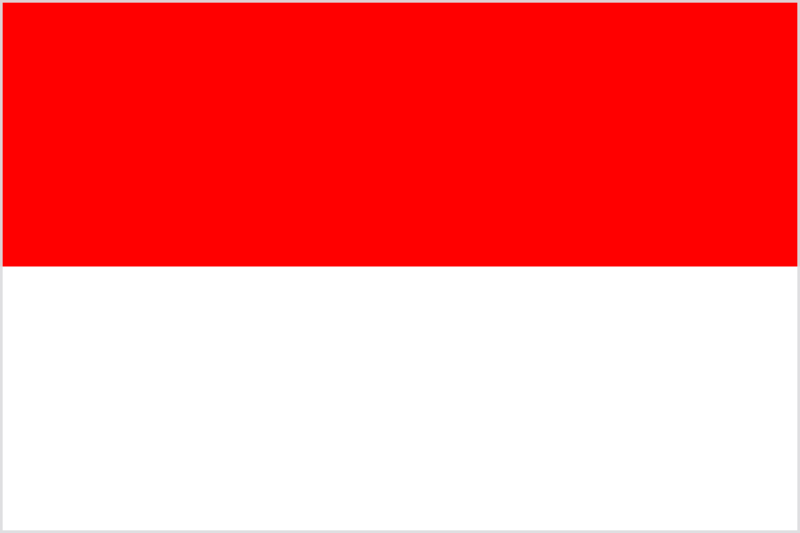 Dr. Sutanti Aidit, a medical doctor, was arrested in 1961, right after an attempted coup in Indonesia. Her husband, head of the Indonesian Communist Party, was executed for his involvement in the coup. By the time Group 11 received the case she had been imprisoned for 11 years without a trial. Despite many years of work by Group 11 and other Amnesty affiliates, it was only under the Carter administration that Dr. Aidit was freed under an amnesty. After being freed, Dr. Aidit recognized the efforts of Amnesty and other organizations. In addition to the letters that Group 11 sent to Dr. Aidit and to the Indonesian authorities, we contacted the U.S. Department of State and members of Congress on the case. At one point, over 80 registered letters were sent at the same time to the prison where she was being held. Soon after the letters arrived a trial date was set, although unfortunately it was never held. Among our other initiatives were sending packages and money to Dr. Aidit’s children in the Netherlands, through a Dutch Amnesty group, and meeting with a former cellmate who traveled to many countries speaking about their ordeal in prison. Liu Gang, a physics graduate student, was ranked third on the list of “most wanted” protesters after the 1989 Tiananmen Square demonstration. He was arrested in June 1989 and sentenced to six years in prison. 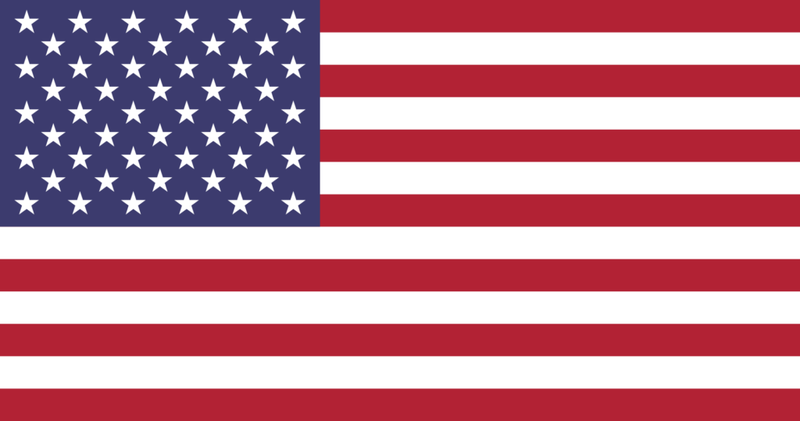 During his imprisonment, Group 11 sponsored a petition which was sent to Amnesty chapters throughout the United States and signed by over 7,500 people in more than in 45 states. The collected petitions were sent to the Prime Minister of China as were thousands of post cards protesting his imprisonment and calling for his release. 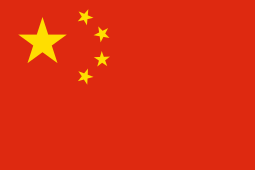 Liu Gang was released from prison and smuggled out of China to the United States. On June 21, 1996, at the annual meeting of Amnesty International in Washington, D. C., Group 11 presented a plaque to Liu Gang, thanking him for his heroic contributions to human rights in China. After receiving a five-minute standing ovation, Liu Gang addressed the meeting and thanked Amnesty for saving his life. In 2006, Father Lý co-founded Bloc 8406, an online-based pro-democracy organization that published a manifesto, “The Right to Freedom of Speech.” Imprisoned again in 2007, Father Lý subsequently suffered a stroke in prison. He was released for treatment, but was then re-imprisoned in 2011. In 2007, Father Lý was adopted by Amnesty USA Group 19 in California as a Prisoner of Conscience. Group 11 worked with Group 19 to advocate for Father Lý’s release by sending letters and petitions to members of the Viet Namese government and the American Ambassador to VietNam. 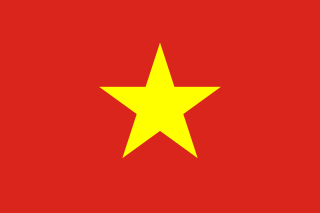 On May 20, 2016, the government of VietNam release Father Lý. Troy Davis was sentenced to death for the murder of a Police Officer in Savannah, Georgia; a murder that he maintained that he did not commit. There was no physical evidence against him and the weapon used was never found. The case against was based on inconsistent testimony by a witness. Since then, all but two of the state’s non-police witnesses have stated in sworn affidavits that they were pressured or coerced into testifying or signing statements against Troy Davis. Sadly, Troy Davis was executed on September 21, 2011 despite the efforts of many around the world, including Group 11. Several similar cases, most notably that of Cameron Todd Willingham, raise the question of how many people who were innocent of capital crimes have been executed. According to the Death Penalty Information Center, 144 death row inmates have been exonerated as of August 2014. Additional questions have been raised as states have used untested new chemical compounds and conducted several botched executions by lethal injection. Amnesty International opposes the death penalty in all cases. Fawzi al-Odah had stated that he traveled from Kuwait to Pakistan and Afghanistan to teach an do charity work. He was detained in Pakistan in late 2001, turned over to U.S. authorities, and transferred to Guantanamo in 2002. He alleged that he was tortured and subjected to forced feeding during a hunger strike in 2006. Group 11 had long advocated for al-Odah, urging that he either be charged with a recognizable offense and tried fairly in a civilian court or released, and that his claims of torture be investigated. Fawzi al-Odah underwent a Periodic Review Board (PRB) hearing in June 2014 to determine whether his continued detention was necessary to protect U.S. national security. The Board recommended that he be transferred to Kuwait to participate in a “robust” rehabilitation program under secure supervision and monitoring. On November 6, 2014, after nearly 13 years in U.S. custody, Fawzi al-Odah was transferred to a government-run rehabilitation center in Kuwait for a minimum of one year. Fayiz al-Kandari reported that he performed charity work in Bosnia in 1994 and in Afghanistan in 1997 and 2001 as a student to build wells and repair a mosque. He was handed over to the U.S. by Afghan forces in 2001 and transferred to Guantanamo in 2002. He alleged that he had been subjected to abusive tactics, including sleep deprivation, physical and verbal assaults, prolonged stress positions, and the use of dogs, loud music, and temperature extremes. He participated in hunger strikes, during which he was force fed. Group 11 advocated for al-Kandari, urging that he be charged and tried fairly or released, and that his claims of abusive treatment be investigated. 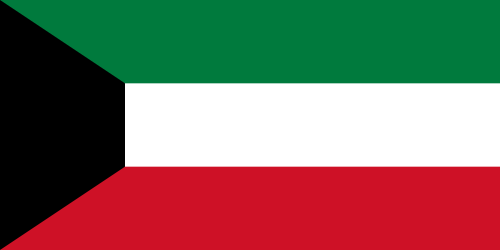 In September 2015, Fayiz al-Kandari underwent a PRB hearing, which recommended that he be transferred to Kuwait for an inpatient rehabilitation program with “robust security measures” to last at least one year. On January 8, 2016, al-Kandari was transferred to Kuwait (cf. the New York Times article U.S. Sends Kuwaiti Detainee Home From Guantánamo). Group 11 prisoner Shaker Aamer, was released from Guantanamo after 13 years of detention without being charged or tried. 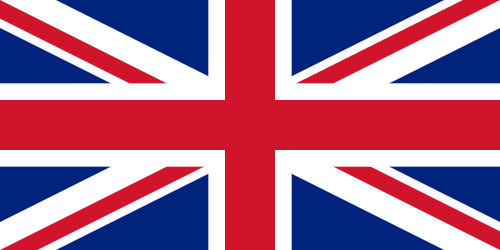 He is now home in Great Britain. See the article Shaker Aamer Is Released From Guantánamo Prison After 13 Years in the New York Times of October 31, 2015 tp learn more about Aamer’s case. Members of Group 11 responded to the events in Darfur with leadership. One member was especially motivated to push Amnesty International to take on the unspeakable violence in Darfur. She met with other Amnesty members and members of the AIUSA staff, and also developed relationships with leaders in other organizations and celebrities concerned with Darfur. She joined AIUSA’s staff in NYC as its Darfur Action Team Coordinator. Her leadership helped to ensure that Amnesty was an important voice in trying to end the violence in Darfur and seek a solution that respected the human rights of the Darfuri people. The devastating war in the Darfur region of western Sudan was among the most horrific instances of human rights violations in the past few decades. The suffering embodied in those stories stirred the hearts of people around the world. In the early 1990s members of Group 11 designed and presented an introductory course on human rights for high school students in New York City. The course included the concept and definition of human rights, the nature of human rights violations, efforts to protect human rights, and what individuals can do to extend these rights. The course was given in a high school using lectures, discussions, and guest presentations. The group also contributed a library of material on human rights to the school. In conjunction with the course, Group 11 sponsored a contest in high schools for posters and essays on human rights, and awarded prizes to the best entries. In its early years, Group 11 members worked on the case of Ukrianian poet and human rights defender named Zinovii Krasivskyj. Over the years, the group went beyond simply working on the case, but established a remarkable and ongoing relationship with him and his family, even as he was forced from his home in Ukraine to prison labor camps and to internal exile. 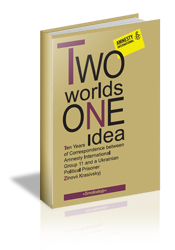 In 2013 we published a remarkable book of correspondence, Two Worlds One Idea, between a member of Group 11 and Krasivskyj , including a background essay and photographs. These letters reveal how a deep personal relationship was formed during the struggle for human rights under Soviet repression. Please learn more about Group 11 and order your copy by clicking here.